Today, I'm part of the blog tour for In Too Deep, which is a New Adult romance! My review for this book should be out fairly soon. Thanks to Giselle & Michelle, however, I get to share an excerpt today. 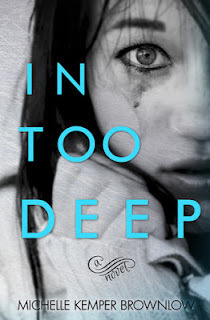 If that excerpt intrigues you, enter the giveaway below to have a chance to win a copy of In Too Deep! Very interesting! I haven't read too much New Adult, but this one sounds like one I could get behind.